I'm Your Fairy Godmother: Changes to Fastpass + Are Coming!! Changes to Fastpass + Are Coming!! The Disney Blog is announcing changes that are coming soon to the Fastpass+ system. 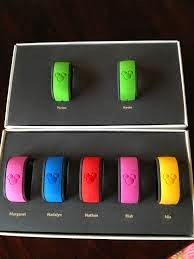 The only “3 per day” limit will be lifted and guests will be able to go to a kiosk and book additional Fasttpass’s after they have used their three pre-scheduled ones. These can be added the day of the visit only. In addition, Disney is working on adding the ability to add Fastpass’s in more than one park per day popularly know as “park hopping.” The exact dates for these changes have not yet been announced. Nearly 3.5 million guests have participated in the fastpass+ testing. Tom Staggs, Chairman Walt Disney Parks and Resorts said in the blog post, “As expected, most of our guests think that securing times to ride our attractions is one of the best ways to maximize the fun of a Walt Disney World Resort vacation. We’ve heard from a number of guests that they would like the opportunity to add additional FastPass+ entitlements during their visit, in addition to the three they can plan in advance. So, we’re working on providing them with the ability to add and enjoy additional entitlements on the day of their visit.